The Lilean Chronicles series continues with this second volume. Cover art by Zak Dawson & JL Stratton. Have you ever been too afraid to go to sleep? 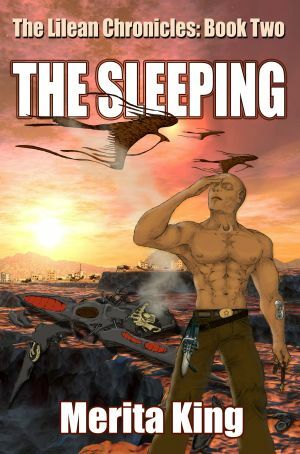 Vincent and Farra hadn’t either, but when the people of Lilea fall victim to a mysterious and frightening affliction, sleep becomes the gateway to a new and terrible danger. With their spirit guides vanished, and unable to wake their friends and neighbours, they soon realise that a new evil is amongst them. Trying desperately to stay awake, Vincent finds himself plunged into a nightmare battle to find the truth amidst the make believe. Many days across the gulf of space, the Drycenians suddenly find themselves hosts uninvited guests, who beg them for help. As they race to Lilea, knowing only that their dearest friends are in desperate peril, they must find a way to communicate with their new guests, and together, find a way to help them. In order to save Lilea, Vincent must first be found and brought to safety. It is up to one man to venture into the darkness, putting his own soul at risk, and lead him back to safety. Only once Vincent is found and safe, can everyone work to end this evil and save the people of Lilea from the terror of The Sleeping. What new intrigue is at work on Lilea and how do these two alien friends solve this mystery, to save the people of Lilea? Where to purchase The Sleeping.